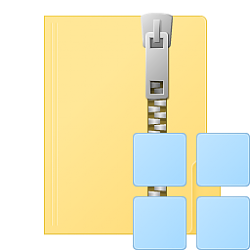 When you right click or press and hold on a .zip file, the Extract All context menu will extract all contents in the .zip file into a new folder and opens the new folder. This tutorial will show you how to add or remove the 'Extract All' context menu for .zip files for all users in Windows 7, Windows 8, and Windows 10. Thanks Shawn for another handy feature to add to my Context Menu! Last edited by LittleJay; 12 Dec 2014 at 09:51.